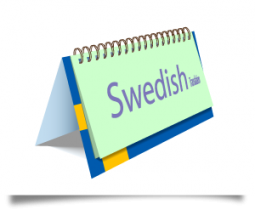 One of the languages that we specialize for translations from and into English or any other language is the Swedish language. Here at NordicTrans, we only hire and work with native speakers as our translators and proofreaders. With us, a professional translator will translate, and two other linguists will edit and proofread the translation. By this we provide high quality and accurate English to Swedish translation services delivered in a timely manner. Do you have any translation needs like an English translation to Swedish? Don’t fret because NordicTrans can provide you just that. We are the top Nordic translation agency and the largest translation service agency in the entire region of Northern Europe. We’ve been serving the translation industry for more than 16 years now and we are proud to be one of the leading translation services companies worldwide. We are also recognized and accredited by the American Translators Association (ATA) and the International Standard Organisation (ISO). English to Swedish translation services are generally useful for almost any aspect of projects for various areas, industries, and fields of specialization. That’s why our translation services at NordicTrans should come in handy for all your Swedish translation needs, and even in any other language needing translations. On top of our priorities, being a translation services provider, are quality assurance and proper time and project management. We will always ensure that all your projects are done and delivered right on time as you specified. Our English to Swedish translation services are a great fit for any areas, fields, or industries. But we don’t do only Swedish translations. We are specialized in the Nordic languages, but we have enough translators in our midst to deal with any language, even rare languages, and we are able to do any language combination. Just as the other services we do, our English to Swedish translation services are always provided with the highest quality and accuracy no matter the size of the project or the client name. We accept all kinds or types of translation projects that you may have, regardless of the size. We even offer discounts for large projects. We are able to work with any CAT tool you have your translation memory in, and we can even create your own memory if needed, so you could save on your future translations. Contact us right now and try our free online quoting and word counting for your translation projects. With our translation management system you can also monitor the progress and status of all your ongoing and previous translation projects. Availability of all our services can be accessed thru our website which is specifically designed in giving you convenient project processing for a more comfortable experience. We created a project management system of our own, which allows all our translators, proofreaders, and project managers to work hand-in-hand for your benefit. We also have a customer service action center manned by our representatives who are always ready to answer all your questions 24/7. NordicTrans has worked and continually works with many clients for over 16 years now. Our in-house teams of native translators for any language all over the world have all been with us since we existed in the global translation industry. We always uphold our commitment to customer satisfaction guarantee with our high quality and affordable translation services. Since we started NordicTrans in 1999, we have been trusted by many people and companies; which eventually led us to be one of the leading translation services agencies in the industry now. We cater to clients all over the world, translating a wide range of language combinations while continually expanding our services. We are now the largest translation services agency providing translations in the whole region of Northern Europe and United States. All our professional native translators are always dedicated to give you the best quality of our services. Our services usually cost much lesser than the other translation services in the market and our turnaround times are always sharp. We don’t impose any additional charges and hidden fees for rushed projects and translations done on weekends. Large, medium or small businesses have come to us over the years to translate their marketing materials, their websites or technical manuals of their products and they never forget to return to NordicTrans when they need more. Need business translation? Try us out, you’ll never leave! Whether you plan to immigrate in UK or US or you need legal translation as a business you can count on our legal translators to deliver high quality services in the shortest amount of time. We are able to provide certified translation and even notarization so your documents will be given the legal status they need. It doesn’t matter if you need to have your medical records or an academic medical paper translated, we will be able to choose the best translator for the job, highly versed in medicine and native of your target language. This way we make sure you only get high quality translations anytime. Some say technical translation is complicated and it is expensive because it’s a highly specialized field. With us it’s not: we have specialized linguists in almost any field and language, and don’t change extra for highly specialized documents, we charge the same rates for any field. If your website is not in English but you want to offer your products to the world you’ll find us to be the best fit. With us the translation of your site will be simple without you needing to lift a finger: we will adapt your website for multilingual support, we will translate all your content and upload it on your site. Our specialists are able to quickly localize any software or app. No matter if you’re a big software company or a small venture looking to increase the sales of your software we can help you translate, localize and adapt your product to the market you want. With us software localization is a breeze. As Sweden becomes more and more dynamic in the worldwide economy, demand for Swedish translation is also increasing day by day. NordicTrans has been dealing with Swedish to English and English to Swedish translations for several years and are glad to facilitate you with all your translation needs. All our Swedish translators have professional experience and undergo a thorough selection process. 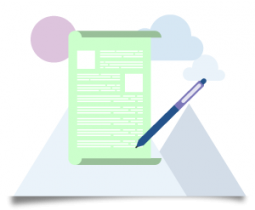 Translating your documents to the Swedish language can be a moderately process when deciding what dialect or localization to use. Swedish translation depends upon your target client, customer and audience. If you have overseas business deals, sales contracts, or any other sort of trade with the Swedish people, you need specialized translation. Only human translation can correctly adjust your documents using suitable dialectal and cultural language and meaning. NordicTrans provides English to Swedish translation services using appropriate language selection for the right audience. Because of the extensive dialects of Sweden and the Swedish language, only professional human translators should be used for any sort of translation for your business documents. We have a network of over 3,000 translators worldwide and many Swedish translators who are able to translate your document with high accuracy. Adding up, our experts hold a variety of technical information for healthcare, technology, legal sources and documents and many others, so highly technical language is never a problem. The Swedish language is widely popular in Finland and is estimated to be used for communication by about 9.6 million people as their first language in the premises of Finland. We recognize the importance of the Finnish language and the immense target audience for the expansion of your business. 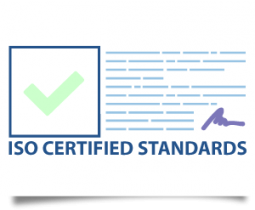 To aim for a successful translation experience for our clients, we strictly obey to the rules and standards specified by the International Standards Organization (ISO). 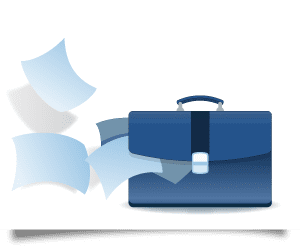 These rules and regulations help us in providing up to mark translated documents to our respective clients which is why we are one of the leading organizations in the translation industry. This set of rules is not only there to make sure quality is never compromised, but also customer support is top-notch. Our project managers make sure that the translation is the best we can do by selecting only experienced linguists for the task, and they also strive to provide outstanding support to all our customers. This ensures that the output reaches the highest level of precision that is guaranteed to be provided to you. You can reach out to us if you have any questions regarding English to Swedish translation services, or translation from and into any other language. We are always here at your service. Get started right away with a free quote within seconds, or connect with our live chat staff, available 24/7, for a free quote!